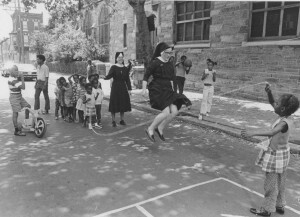 The photographs that Bob Halvey took from his high school days at Roman Catholic High School to his work for the Catholic Standard & Times are housed at CHRC. They span the years 1935 to 1999. Researchers will find a wide variety of subjects. 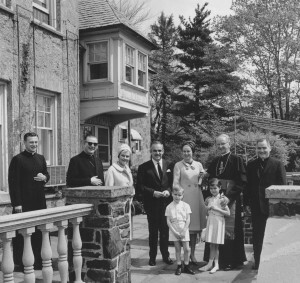 The collection documents everyday Catholic life in Philadelphia, with photos depicting Sunday Mass, Catholic schools, ordinations, and seminary life. 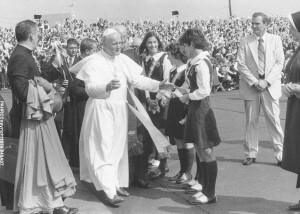 Highlights include photographs of Catholic hierarchy such as Pope John Paul II's visit to Philadelphia in 1979. 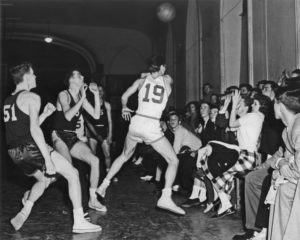 Other photos that stand out are Halvey's sports images. Currently the photographs cannot be searched online. If there is something that you would like to have researched, please contact us at archives@chrc-phila.org, or call 215 904-8149.